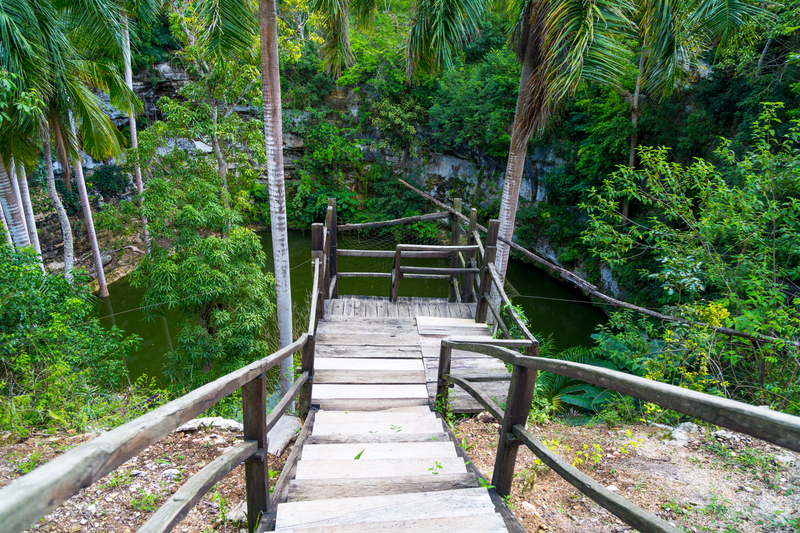 These rickety steps descend down into a cenote in the Yucatan Peninsula region of Mexico. See more “descent” images at the WordPress Weekly Photo Challenge. Kongo sure visits some unusual and interesting places. Nice! Stairs in the middle of the forest. I can just imagine Kongo scampering down…and scampering back up once again like the cheeky little monkey that he is 😉 If he gets bored, swinging on the tree branches will entertain him for sure. Mabel, you always make me smile. I’d love to be descending those steps right now. Terrific photograph.